In just a couple of days, the once-only thought as a joke cryptocurrency Dogecoin (DOGE) became the main trend and talked about topic in the crypto-verse. The unmatched performance commenced end of August when more words were spread on the connection between Ethereum‘s network and Dogecoin‘s blockchain called Doge-Ethereum Bridge. That was the time when even Bitcoin and other altcoins were attempting to keep up against the bears. But, the pair DOGE/USD was outstanding with daily double digit gains. The above-mentioned bridge is yet being tested and improved and not launched. Since then the same positive and new waves of investors stepped in to grab some while fearing of missing out. 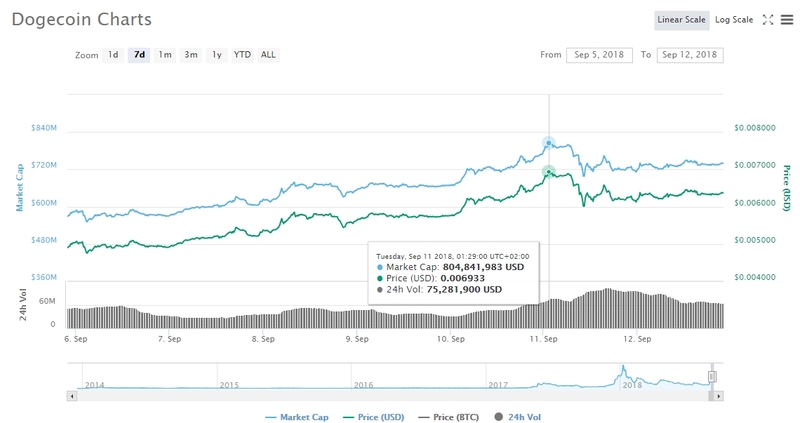 It is by no surprise that still even to date it is performing well as when all coins were declining in the negative of above 10%, DOGE/USD was increasing for 11.50% (Sep 9th). It is much possible that the general violent sell-off going on in the market is not impacting the token’s value because of the arriving investors hoping to be part of the hype and gold-craze that Dogecoin is showcasing. Which is why passing over the $0.0060 mark opened gates for a value stabilization above the important level and testing the $0.0070. For all that have access on the fee-less exchange platform Robinhood, the token is already listed for trading. The support was announced days after the team behind the commission-free exchange that BCH and LTC are also on it. 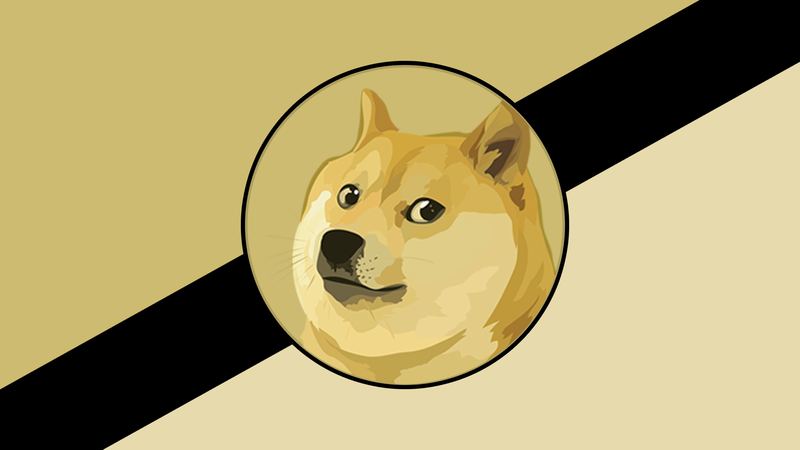 Per time of writing, DOGE is trading at $0.0063 against the US Dollar with 2.71% gain for the last 24-hours. 19th by market capitalization after passing by many altcoins in a very short amount of time. Much wow doge!